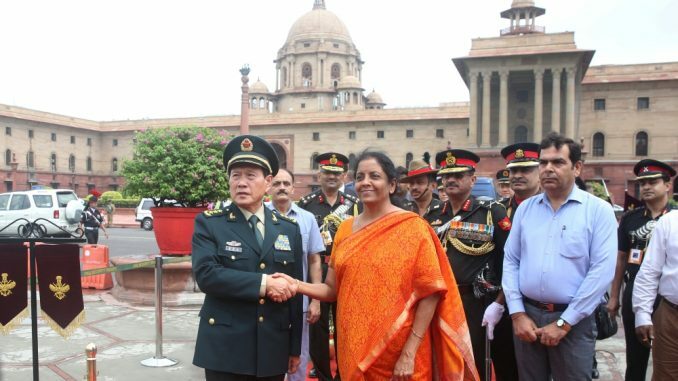 The decision was taken at talks between Defence Minister Nirmala Sitharaman and the visiting Chinese Defence Minister Wei Fenghe. India and China on Thursday agreed to work towards full implementation of the ongoing confidence building measures and “greater interactions at the working level” to ensure peace and tranquillity along the border. It was the first visit of the Chinese Defence Minister to India since the Doklam stand off last year between the two countries. The two ministers discussed issues related to border areas and decided to work towards early start of hotline between the two armies. “It was agreed to work towards full implementation of ongoing confidence building measures as well as greater interactions at the working level to ensure maintenance of peace and tranquillity including early operationalisation of the hotline between the relevant departments of armed forces,” the release said. The two ministers also decided to expand the engagement between their armed forces relating to training, joint exercises and other professional interactions. “Both sides also decided to work towards a new bilateral MoU on defence exchanges and cooperation to replace the MoU signed in 2006,” the release said. They welcomed the recent exchanges between their armed forces which had enhanced mutual trust and understanding to implement the consensus reached between Prime Minister Narendra Modi and Chinese President Xi Jinping at the informal summit in Wuhan.